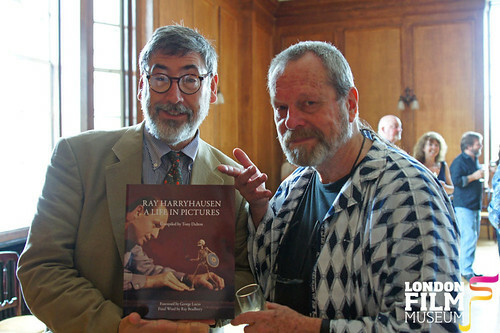 as well as many, many, many more) but some of my best recent film related memories are attributed directly to them (Star Wars Exhibition, celebrating Mr. Ray Harryhausen’s 90th Birthday, Meeting Bond alumni; George Lazenby, Maude Adams & Britt Ekland as well as meeting both Herbert Lom & Burt Kwouk (responsible for some of the funniest moments on the silver screen from my childhood) and, and shooting the breeze with Terry (still not a Sir yet) Gilliam, Sir Peter Jackson and John Landis). And that’s just the stuff off the top of my head. I keep meaning to post more about the London Film Museum and my adventures there but invariably get bogged down by some other time consuming task, the best I have done so far is manage to get some pictures up on Flickr here. 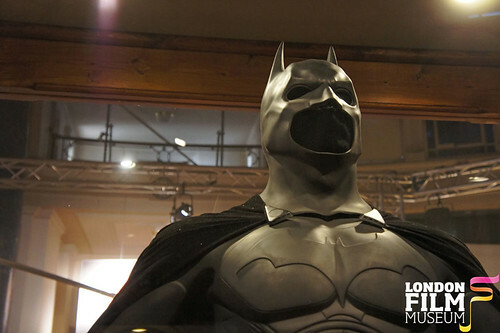 The London Film Museum is like the spiritual home of all things film in the UK. It’s an immersive experience like nothing else. 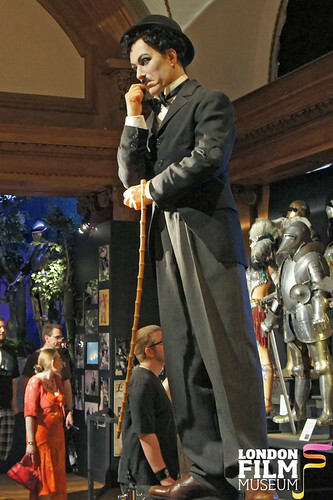 Visiting the studios that make motion pictures is a great but they are operating businesses so very often the bits that would lift these experiences - like visiting a film set are closed to the public and the tactile bits of film history like the relics, memorabilia or props are no longer stored site. 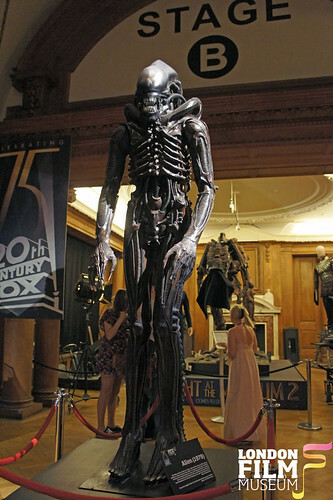 So the London Film Museum really has a place as the home for this film history. Where else can you see Rexy from Night at the Museum. Turn the corner view the Bat Suit while being watched by the Alien Queen and the Terminator? The place is full of bits of film history and there is something for everyone. At the moment they have exhibitions featuring pieces from the awe inspiring and must see Ray Harryhausen - Myths And Legends Exhibition (you can see pics of some of the extensive collection over here), a Zulu Exhibition, along with loads of film props you can see some recently discovered original storyboards (pics of some of the collection over here), an Excalibur Exhibition (they have a huge collection of pieces bits from John Boorman’s English classic, with loads of pieces from master armourer Terry English). 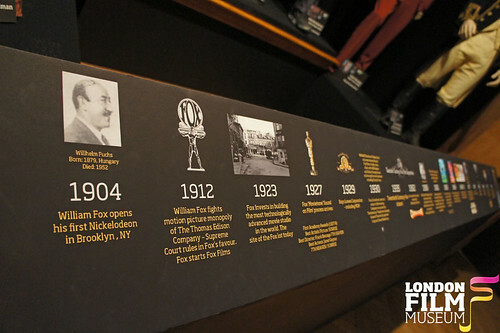 You can still catch the Charlie Chaplin – The Great Londoner exhibit a retrospective displaying pieces from Chaplin’s life and films. 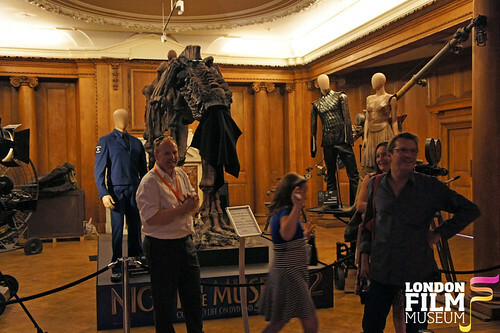 To commemorate the 75th Anniversary of Twentieth Century Fox the London Film Museum are exhibiting some pieces from Fox’s most loved films. 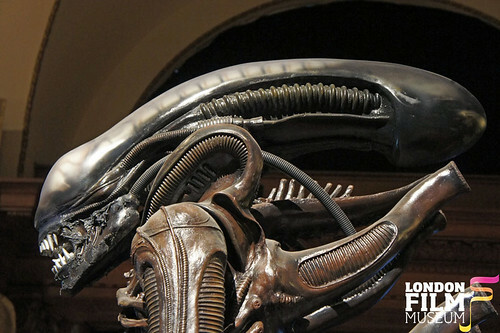 The exhibit includes exclusive prints from the Fox archives and unique props from classic Fox releases including Alien and Star Wars as well as a small display of outfits from some legendary recent Fox films. Larry Daley’s (Ben Stiller) night guard outfit from Night at the Museum an excellent accompaniment to seeing Rexy (the Museum’s Tyrannosaurus Rex) right next to it. Rexy is also doubling as a Dragon to add to the ambiance of the Eragon outfits. 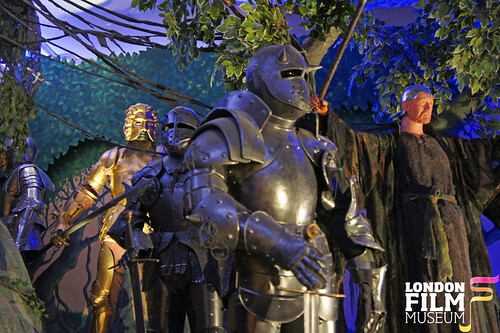 Within his “enclosure” there are two Eragon outfits on display Eragon’s (Ed Speleers) leather and scales armour and Elf warrior Arya’s (Sienna Guillory) tan armour. I’m unsure if she actually wears the lacy skirt with the boots and bodice together in the film. The memorable and intricate cheongsam inspired dress that Lady Sarah Ashley (Nicole Kidman) wears to the Ball in Australia is the most beautiful piece on display. Next to it you can see a Can-Can Dancer outfit from Baz Luhrmann’s Moulin Rouge. My understanding is that it is currently unknown who wore this glam outfit in the film. 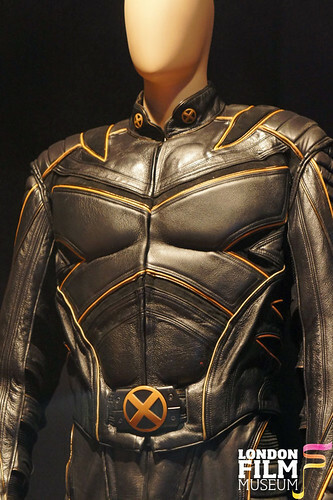 The feral Wolverine or Logan’s (Hugh Jackman) leather X-Men suit. 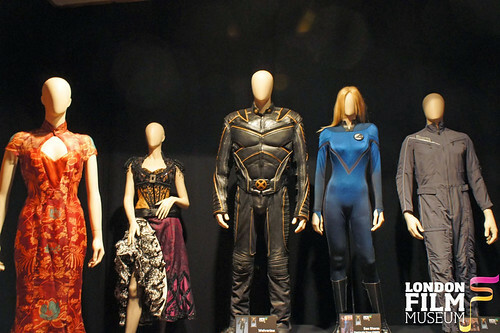 Which is very different from the original yellow outfit, wryly alluded to by Logan in the X-Men film. There is still a nod to the comic's original costume with the "claw" design on the shoulders and sides. 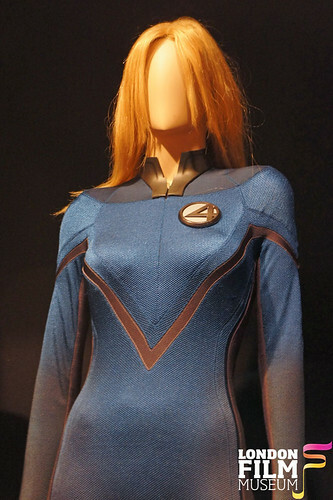 Sue Storm’s (Invisible Girl) Fantastic Four suit worn by Jessica Alba in Fox’s Fantastic Four. 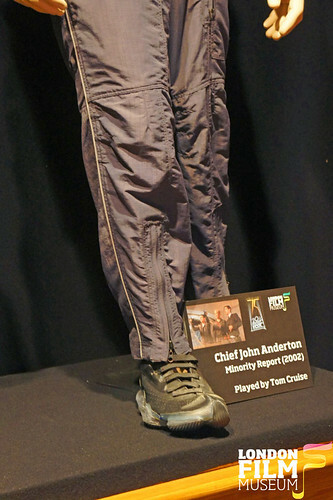 Chief John Anderton’s (Tom Cruise) Precrime Security jump suit worn by Tom Cruise in Steven Spielberg’s Minority Report. The highlight and biggest disappointment for me was the outfit that Tyler Durden (Brad Pitt) wore in Fight Club. It was great to see it but somehow the charity shop leather jacket and polyester trousers outfit lacks the lustre and edgy coolness when not animated by Tyler Durden. But I still love the early 80s motor cross t-shirt. You can also see Capt. Jack Aubrey’s sea faring outfit worn by Russel Crowe in Peter Weir’s Master and Commander: The Far Side of the World. 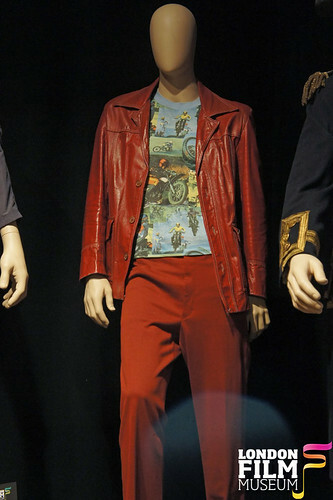 Along with these outfits the London Film Museum has 100s of others that can also be viewed as well as some special pieces for the Fox 75th Anniversary Exhibition. 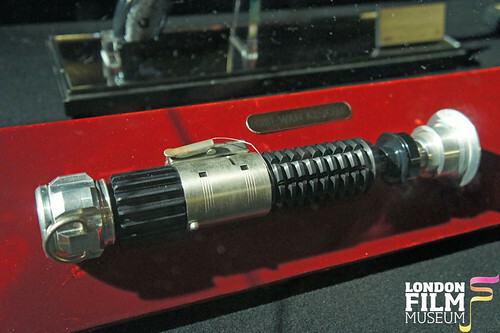 Above, the original Alien suit from Sir Ridley Scott’s sci-fi classic Alien and Obi Wan Kenobi’s Lightsaber from a Star Wars collection. It’s already been extended once but the Fox display will be finishing its run at the end of September - so there are only a couple more weeks to get up close to these outfits from Fox classics.